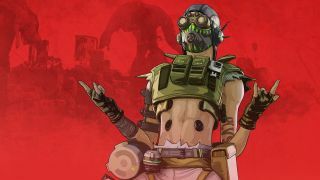 Apex Legends Season 1: Wild Frontier is out now, introducing Octane, the first battle pass, free rewards and a mountain of bug fixes and quality of life improvements. Despite only launching in February, it feels like we've been waiting forever for the first season thanks to the cavalcade of leaks, datamines and rumours, but you can finally see it for yourself today. Check out what you can expect when you hop into the game below. Updated dashboard images for Season 1 on PC and Xbox. 18 Wild Frontier themed Stat Trackers. Added "Swap LT/RT & LB/RB" / "Swap L1/R1 & L2/R2") toggle in the Controller Button Layout settings. Added "Sprint View Shake" setting under the Video tab. Setting this to "Minimal" can be especially helpful for players susceptible to motion sickness. Added "Trigger Deadzones" setting under the Controller tab. Added "Advanced Look Controls" settings submenu under the Controller tab. Fixed players being able to shortcut weapon swap by changing stance. Fixed players being able to shortcut Peacekeeper rechamber sequence. Fixed inaccurate auto ranging fullscreen (sniper) optics when base FOV is not set to default. Spitfire: fixed ADS view on Legendaries partially obscured by custom geo. (The Continuum, The Heavy Construct). Fixed ADS view being blocked when using Caustic legendary skins with certain weapon/ optic combos. Digital threat optics: threat highlights are now more visible (slightly brighter; no longer affected by TSAA). Apex Legends Season 1: Wild Frontier is live now.